Regional Transit delivers riders to the door and will assist them from the vehicle. Eliminates stress and worry for those who cannot drive themselves. 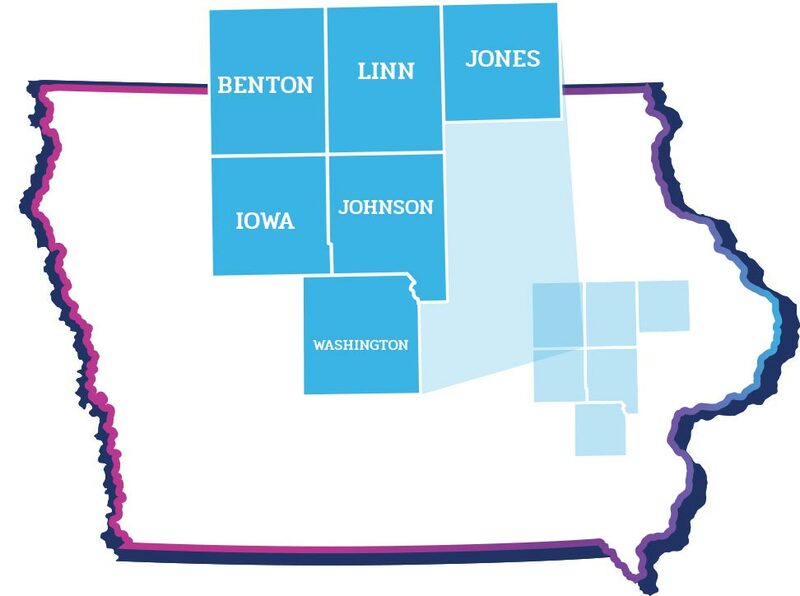 The rural transportation service provides rides upon request for all residents, including disabled riders, throughout Benton, Iowa, Jones and Washington counties and in rural Johnson and Linn counties. The regional service means you can count on safe, door-to-door transportation for you and your family members in these rural areas. CorridorRides coordinates the regional system but does not directly operate the service. It contracts with a provider in each of these counties. These services are for the general public. 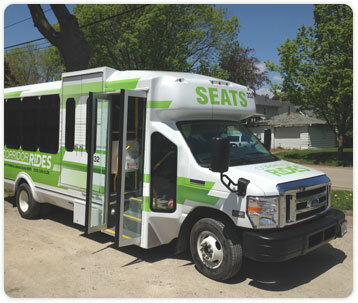 Additionally, CorridorRides providers in Johnson and Linn counties have contracts to provide ParaTransit for urban providers in Cedar Rapids, Coralville and Iowa City. These ParaTransit services are for individuals who prequalify. For questions on these services please contact Linn County LIFTS or Johnson County SEATS. Regional Transit is funded in part by the Iowa Office of Public Transit and by the Federal Transit Administration. Click on your county for contact information for your provider.